We were delighted to be involved with this project that's helping hospital campus' in a practical and accessible way. 22 March 2018: St. James’s Hospital is pleased to announce the launch of its brand new app: The St. James’s Hospital Campus Guide. The app was designed to help patients, visitors and staff to navigate their way around St. James’s constantly developing 60 acre site. St. James’s hospital is the largest acute teaching hospital in Ireland, and with almost 300,000 outpatient sessions a year. The hospital sees a heavy amount of foot traffic. 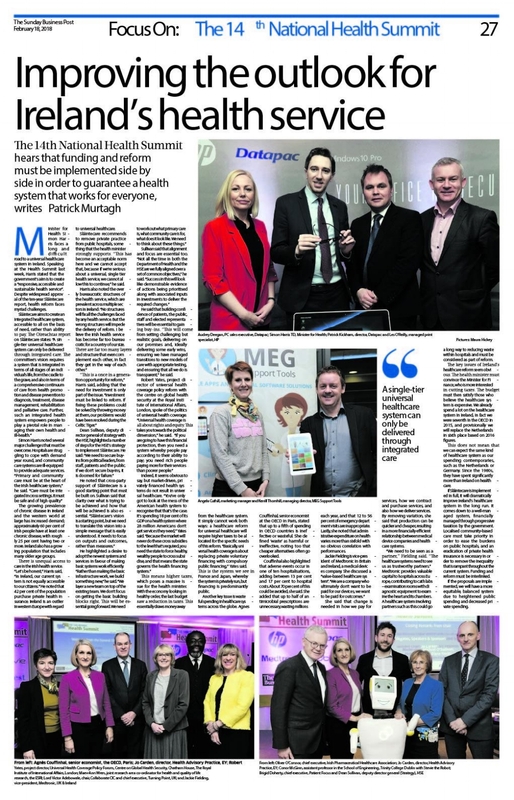 The app was developed by Anthony Edwards and Dr. Chris Soraghan from St. James’s Hospital in conjunction with MEG Support Tools, and was jointly funded by St. James’s Hospital Foundation and The Digital Hub, all based in the emerging med tech corridor of Dublin 8. Speaking at the launch, Kerrill Thornhill, Managing Director of MEG Support Tools said: "Mobile devices and apps provide many benefits for patients and healthcare workers. Our goal is to provide hospitals like St. James’s with smartphone technology to enable staff and visitors with access to critical information at their fingertips". Dairy A to Z - We Have it Covered! 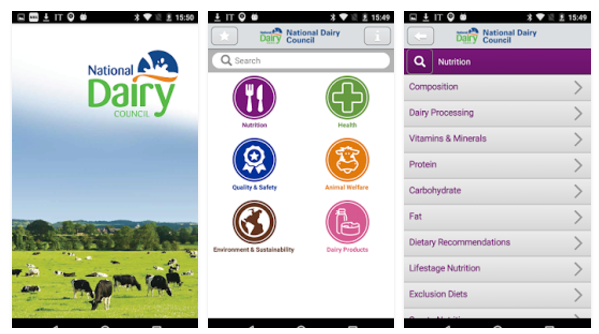 The National Dairy Council ‘ Dairy A to Z’ app is composed of nearly 200 questions and answers relating to dairy goodness including sections on; Nutrition, Health, Quality & Safety, Animal Welfare, Environment & Sustainability and Dairy Products. In consultation with the National Dairy Council, MEG designed this tool to provide concise, factual information for users and we hope that it helps them discover the unique qualities of Irish dairy produce. For example, there is a comprehensive section on nutrition, which outlines the benefits of dairy for sports recovery, with protein, carbohydrate and fat content if you're tracking your macros. This section also covers recommendations for different live stages for families. The app is exceptionally user-friendly and has an interpretive search function to find the exact information you're looking for. Contact the National Dairy Council, Ireland on info@ndc.ie for username and password details and contact us here at MEG Support Tools info@medicaleguides.com if you have some industry guidelines that you'd like to distribute by mobile or tablet.